Purchase a set of Audi genuine wipers and receive a free jug of washer fluid. Winter has been unkind to your wipers, replace them to ensure you get the most out of your Audi Driving Experience. Your visibility is your safety be proactive. 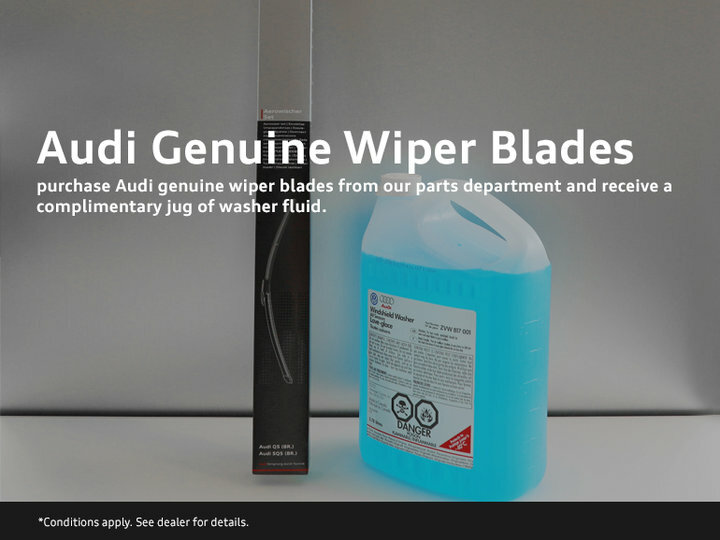 *receive a jug of washer fluid from Audi Kitchener-Waterloo free of charge with the purchase of any Audi Genuine Wiper blades from our parts deptarement. Offer is subject to change or cancelation without notice. Offer availble while supplies last.